Es war wohl nicht Dee Dee Ramone, der Kristin Gundred dazu veranlasste das Pseudonym Dee Dee anzunehmen, sondern der Name ihrer Mutter, den sie nach deren Tod übernahm. Unter dem Bandnamen Dum Dum Girls veröffentlichte sie mit variierenden Mitmusikern in den letzten drei Jahren drei Alben: "I Will Be" (2010), "Only In Dreams" (2011) und "Too True" (2014). Nach ihrer Hochzeit mit Brandon Welchez von der Band Crocodiles (und zwischendurch mal Mitglied bei den Dum Dum Girls) heißt die US-Amerikanerin Kristin Welchez und gemeinsam veröffentlichen die beiden 2014 als Haunted Hearts das Album "Initiation". Als HUNI veröffentlichte Kristin Welchez im letzten Jahr gemeinsam mit Andrew Miller (auch zwischendurch mal Mitglied bei den Dum Dum Girls) die Single "Is There Any Other One?" und sang auf "Play For Today" von Belle & Sebastian mit. 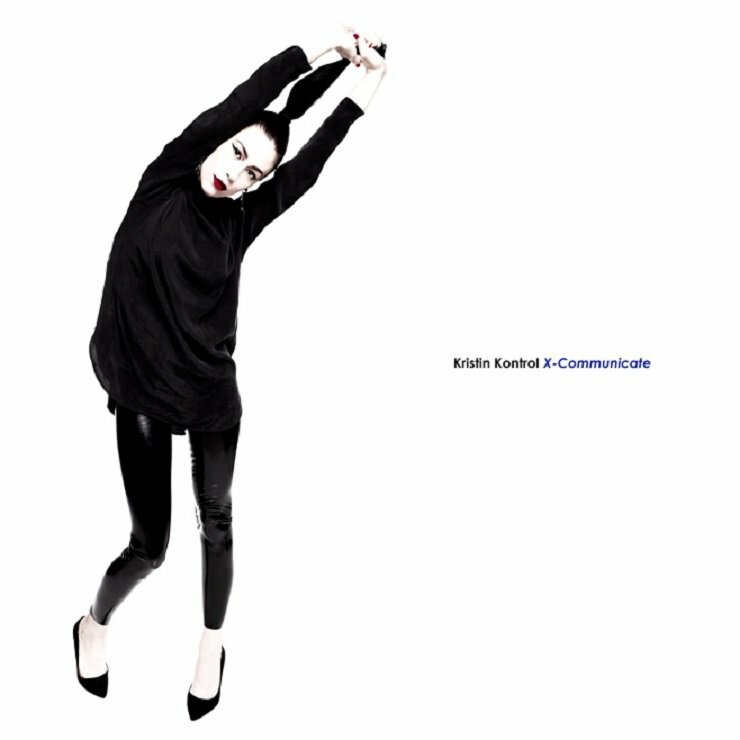 Für ihr erstes Soloprojekt musste ein neuer Namen her: Kristin Kontrol heißt dieses und "X-Communicate" das dazu gehörige Album. Der bereits erwähnte Andrew Miller teilte sich den Produzentenjob mit Kurt Feldman (nicht Mitglied bei den Dum Dum Girls, aber bei The Pains Of Being Pure At Heart), und der bereits 75jährige Richard Gottehrer (Blondie, The Go-Go's), der bereits die Alben der Dum Dum Girls (mit-)produziert hatte, fungierte hier als "akustischer Berater". Stellt sich die Frage, warum niemand der Dame die billig-monotonen Drumcomputer-Sounds ausreden konnte. Wofür hat sie denn Produzenten, Berater und einen Ehemann? Oder das Saxofon in "Show Me"? Bei aller Liebe zu originalgetreuen 80er Jahre-Synthpop-Klängen - darauf hätte Kristin wirklich verzichten sollen! Welchez's latest album and first under the new name, X-Communicate, isn't a far cry from the melodies she wrote for Dum Dum Girls. She's still one cool cat, just trading one decade's sounds for another. It's not hard to hear why she felt these songs weren't meant for DDG, though; the production by Kurt Feldman (Ice Choir) and regular collaborator Andrew Miller is geared to help emphasize Welchez's voice like never before. As the calm and cool Dee Dee, it always felt like there was a cap on the emotions Welchez could express though the music, but that limit seems lifted on X-Communicate. She reaches her full pop star potential on the title track, recalling Kylie Minogue as she emotes strongly in the chorus over arpeggiating synths. 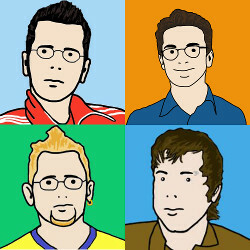 "Skin Shed," which packs big beats and loud guitars, is more in line with the early '90s indie house of Saint Etienne. And on both "Face 2 Face" and "Smoke Rings," she channels her inner Siouxsie Sioux, as the production slinks along to her hypnotic voice. X-Communicate is all about Welchez allowing herself room to grow as a multifarious artist who has the drive, determination and talent to pull off anything she sets her mind to. Whether she'll ever return to Dum Dum Girls remains to be seen, but as Kristin Kontrol, she's offering an exciting artistic refresh that Dum Dum fans should get on board with. The frustrating part is, it’s not even as if Kristin has a specific problem she could work on, since they all seem to be missing something different, with other pop tools like the saxophones on ‘Show Me’ and the guitars on tracks like ‘White Street’ and ‘Face 2 Face’ seemingly deployed because they are things that great pop songs have. ‘Show Me’ and ‘Drive the Night’ stay at the same level for the whole song, with little to no dynamic variation, while songs such as ‘X-Communicate’ have dynamic variation but also an earnestness about their lyrics that lack sincerity or indeed coherence. ‘Face 2 Face’ and ‘Going Thru the Motions’ make sense, but are far too slow and a bit too clumsy to be dancey pop hits. Not every song has to be upbeat, of course, but they just don’t quite pick you up into having fun. Die Band darf gerne auf Eis bleiben.